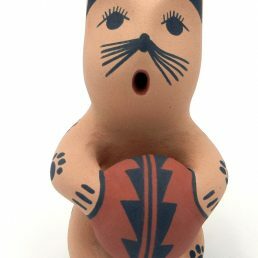 Despite the variation in form and function of contemporary Native American Indian pottery, many new pieces rely on traditional Native American Indian symbols and patterns to decorate the piece. 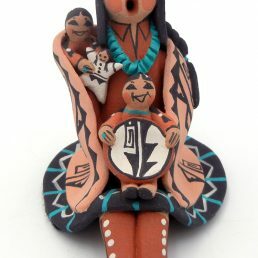 Native American Indian symbols and patterns used are often characteristic of the artist’s Pueblo’s pottery tradition. 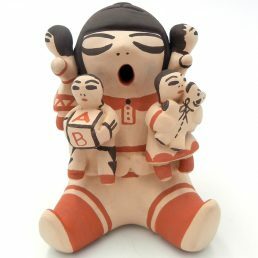 Charmae Natseway from Acoma Pueblo often creates pottery flasks. 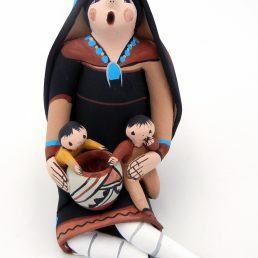 Kathleen Wall and Fannie Loretto from Jemez Pueblo create pottery inspired by human form. Wall molds statues modeled after her children, and Loretto is known for her masks. 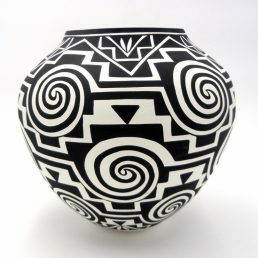 Preston Duwaynie, a Hopi Indian artist, incorporates sterling silver into his pottery. 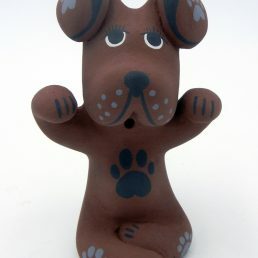 Each piece of our pottery is unique, but contemporary pieces are even more distinctive. Many of these pieces are instant collectibles. For the most part, today’s Indian pottery art adheres the same shapes and styles as traditional pottery used by ancient peoples for practical purposes—collecting water, serving food, etc. Beginning in the 1950s, however, Indian pottery artists began deviating from traditional pottery styles and designs, creating a new genre of Indian pottery art. 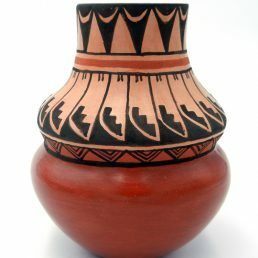 Traditional pottery includes vases, bowls and pots—symmetrical pieces. Contemporary Indian pottery is strikingly different in shape and form. The shape of contemporary Native American pottery is as varied as the artists’ imaginations. 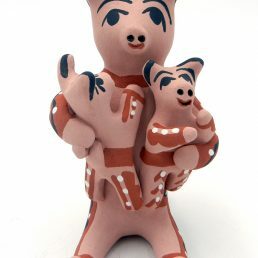 Pottery figurines are one example of contemporary Native American Indian pottery. 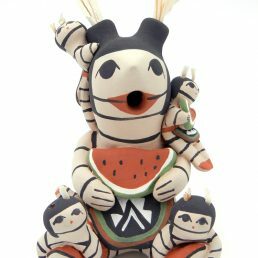 The figures or models for these statues may be traditional, like the Navajo koshare clown. However, the clay medium of the statue is a deviation from tradition. 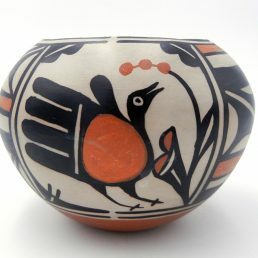 Asymmetrical pieces are another departure from traditional Native American Indian pottery. Where the practical purpose of a traditional pottery shape is evident, an asymmetrical contemporary piece’s function (if any) may be anyone’s guess. The collection of Native American Indian pottery at Palms Trading Company reflects the diversity among Southwestern Native American Indian cultures and the whims of individual artists. Explore our traditional and contemporary pieces online. If you’d like to see more but cannot get to our store, contact us to use our personal shopper service.